Reston has a new coffee spot and Reston Station has its first full-time retailer. 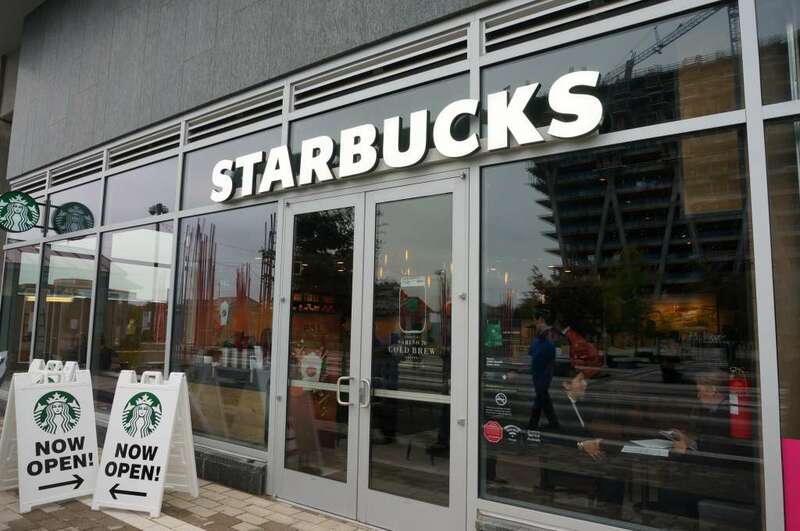 The Reston Station Starbucks opened on Friday in the ground floor of Comstock’s BLVD apartments. While Reston Station has Urban Pop, a series of pop-up shops along the plaza at Wiehle-Reston East, this is the first permanent retailer there. 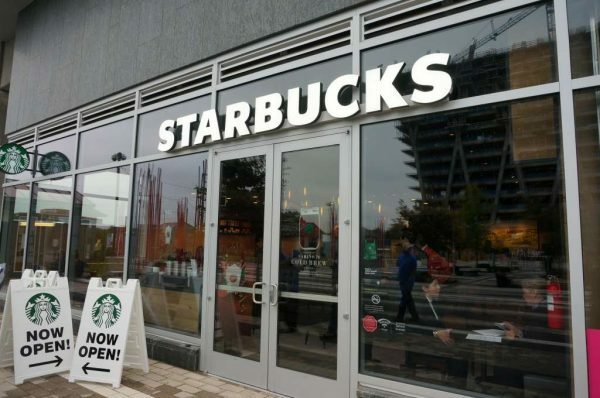 This Starbucks location (there are seven in Reston, not counting inside Target and Safeway) is quite large, with counter seating overlooking the plaza, a meeting nook, couch space and other work areas. Founding Farmers is still on track to open a restaurant in the space in the next building. Founding Farmers signed a lease last fall, and the sign in the window says “coming late 2016.” However, no interior work has started, so it likely won’t meet that deadline. Meanwhile, there will be validated parking for Starbucks customers. Visitors who park in the ParkX Garage (first left off of Reston Station Boulevard), then park in retail spaces (take a right up the ramp, take parking ticket and go straight ahead) will get two hours free, Comstock says.